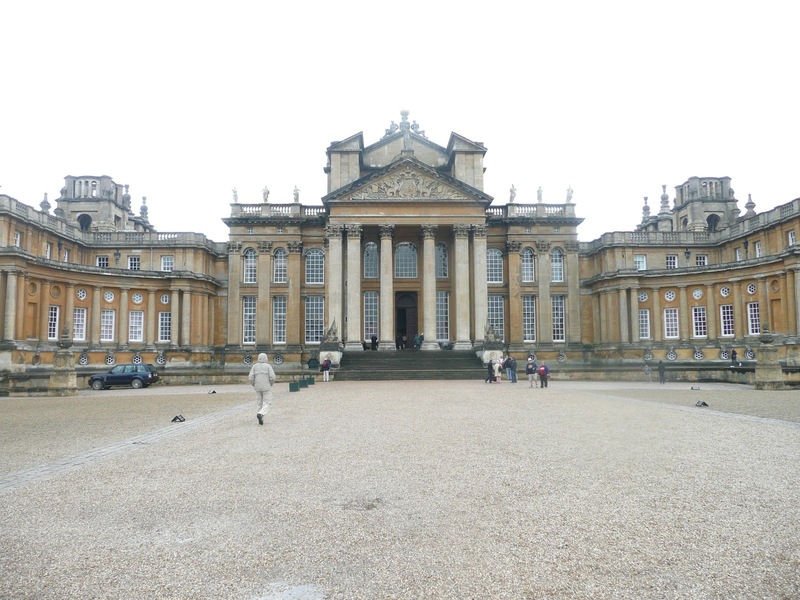 Blenheim Palace is absolutely stunning. 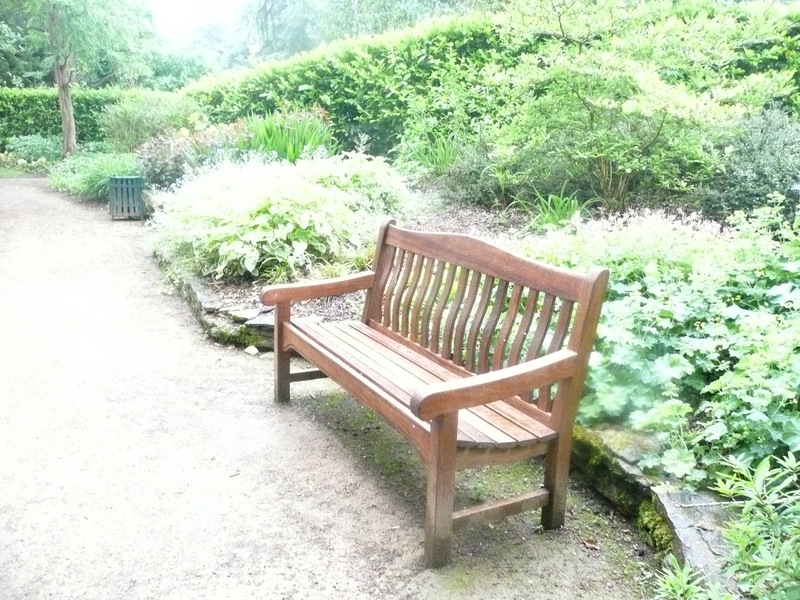 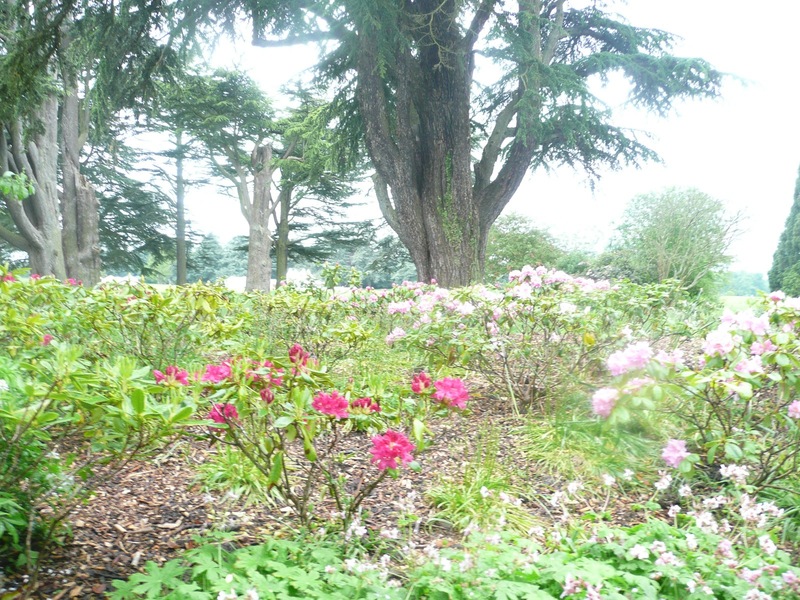 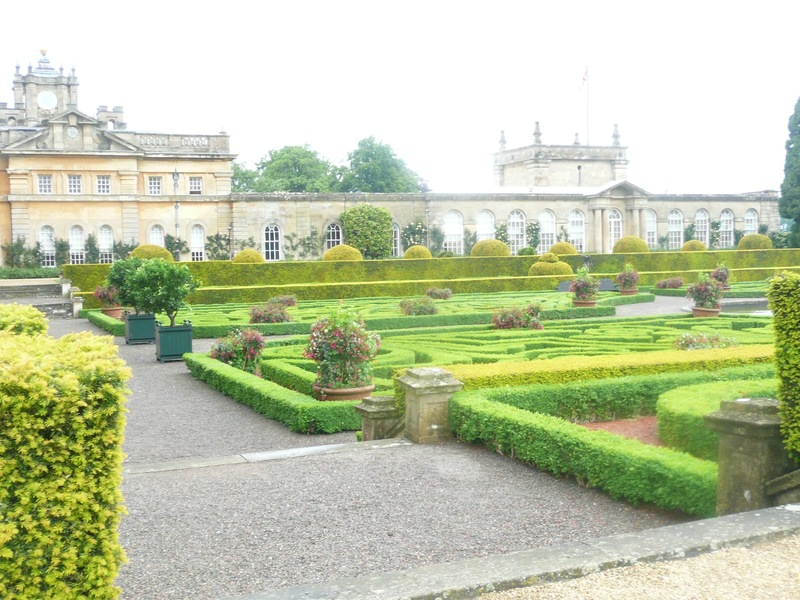 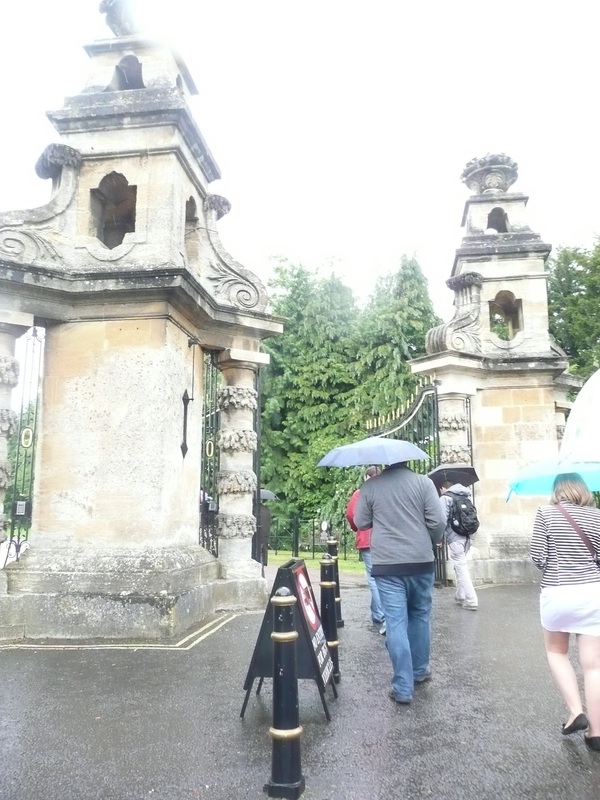 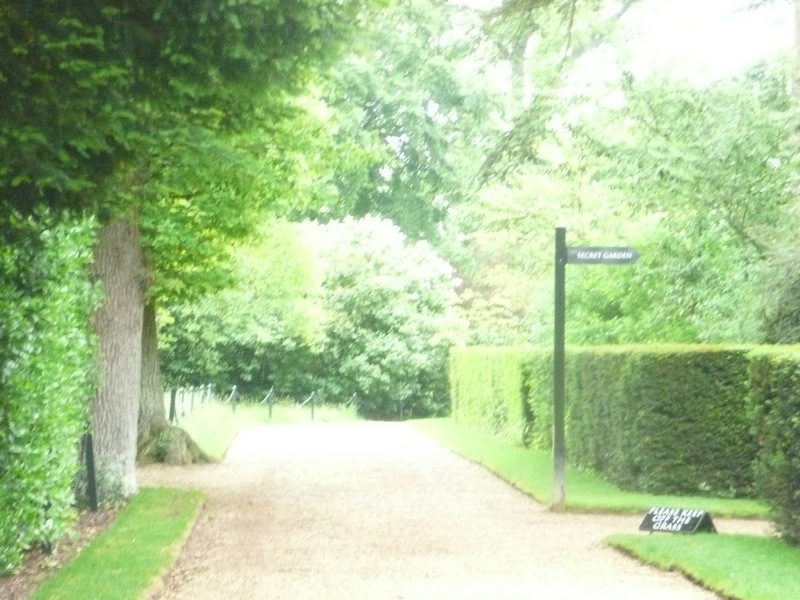 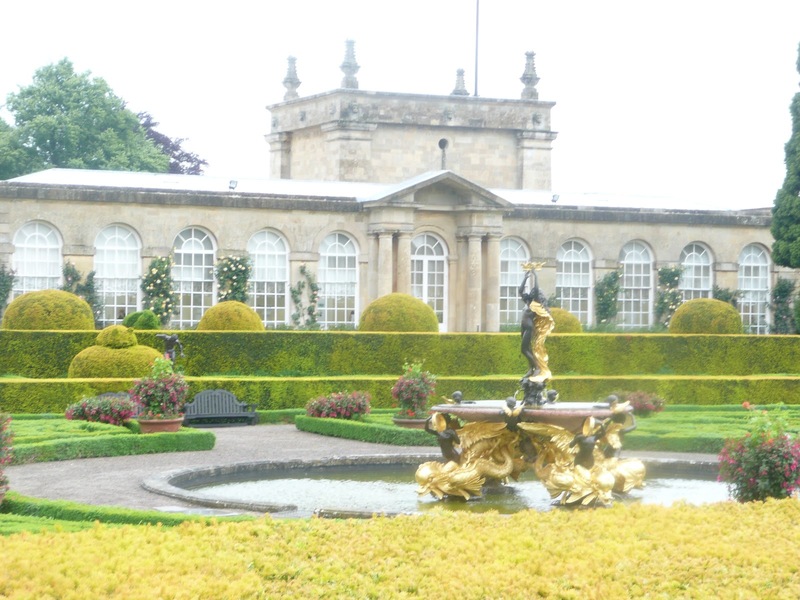 Despite the rain and overcast weather, the beauty of the grounds remained majestic. 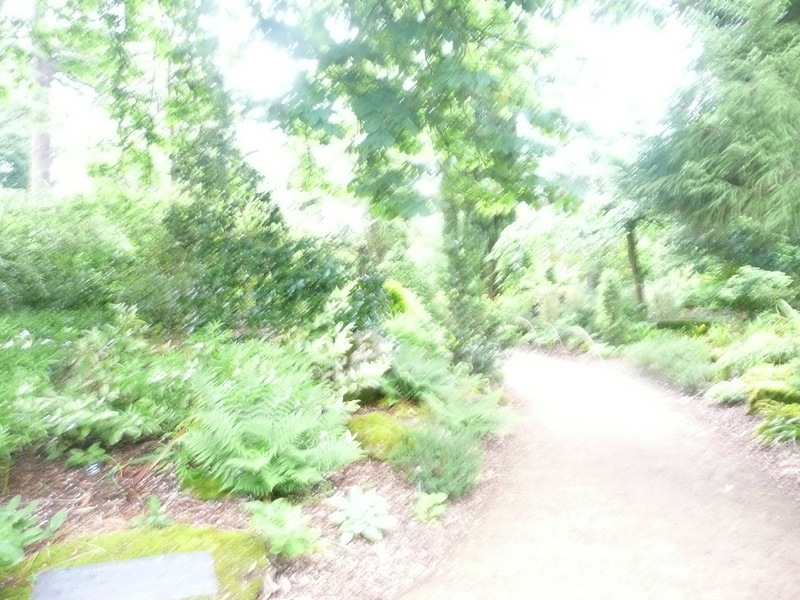 The grass and gardens were lush with color. 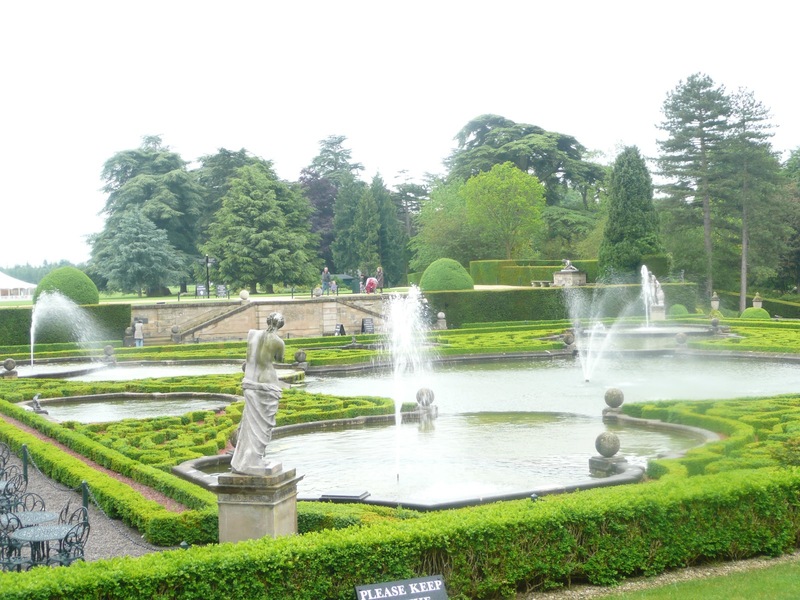 My favorite part of Blenheim’s grounds was the water gardens, the fountains shared a great view with the river in the background. 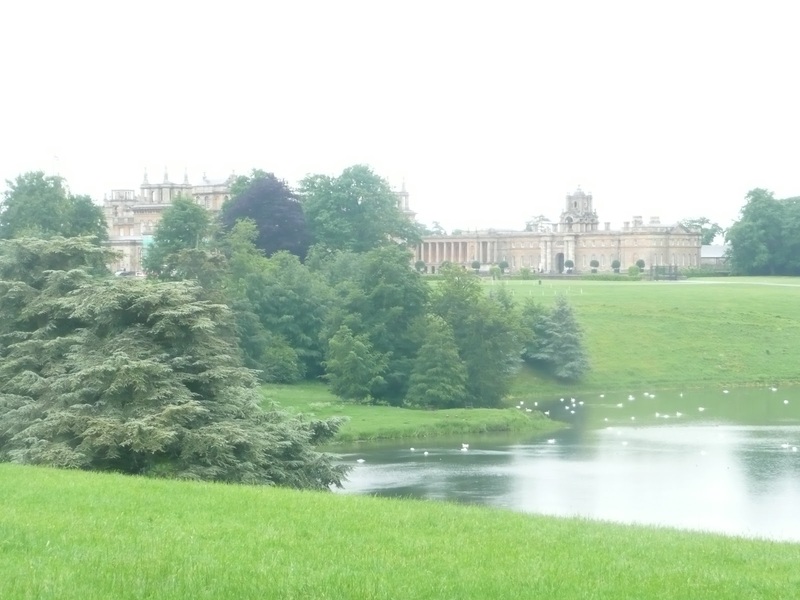 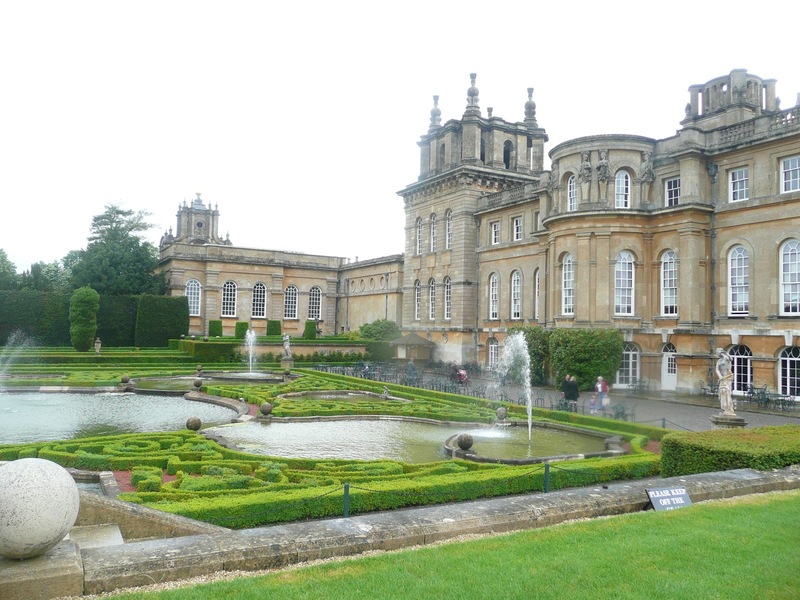 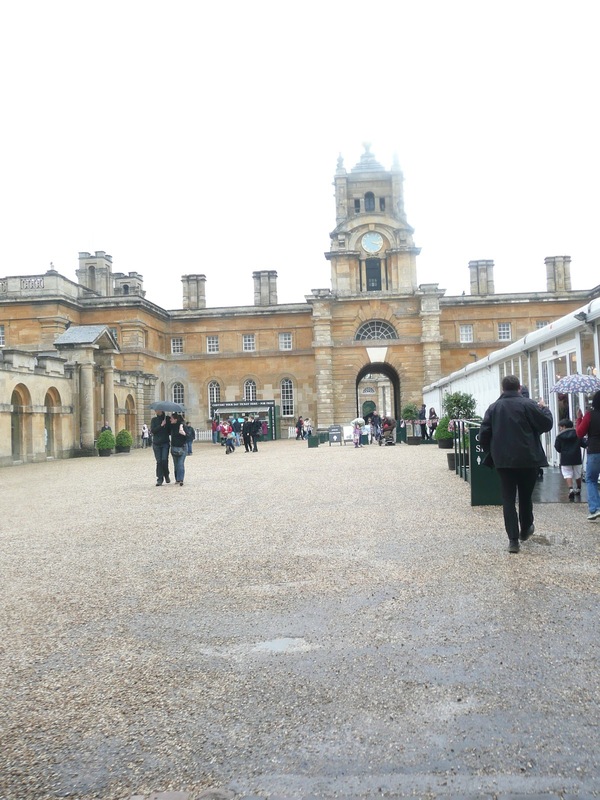 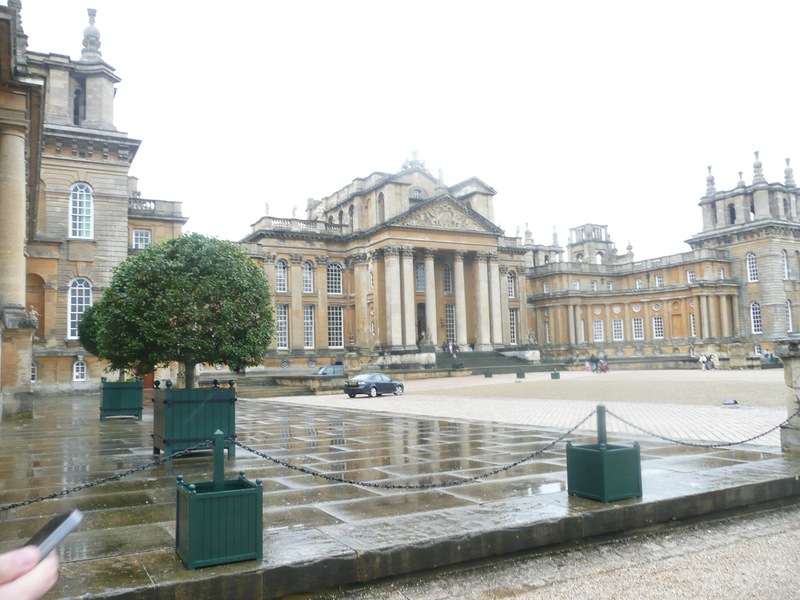 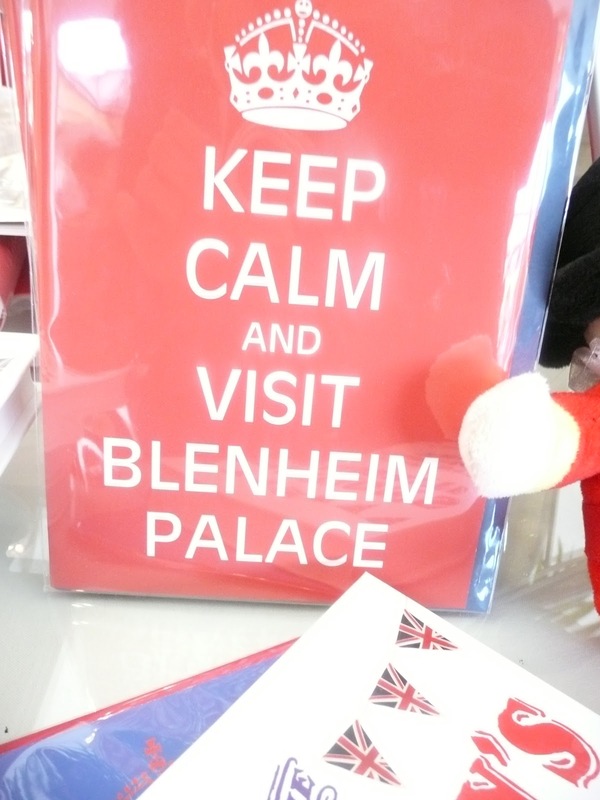 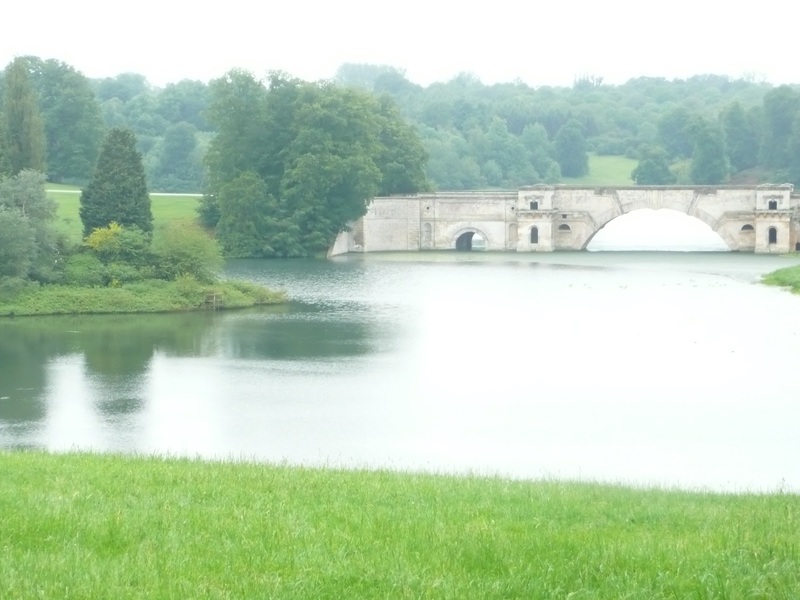 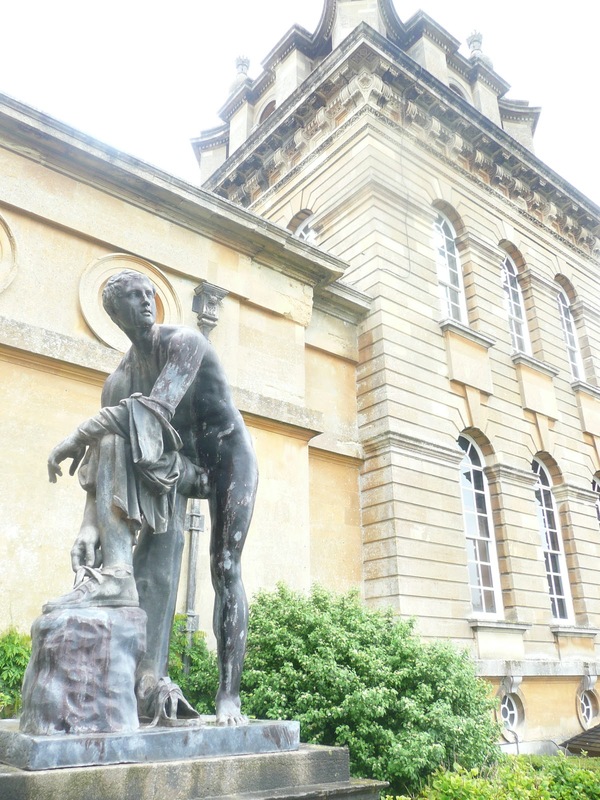 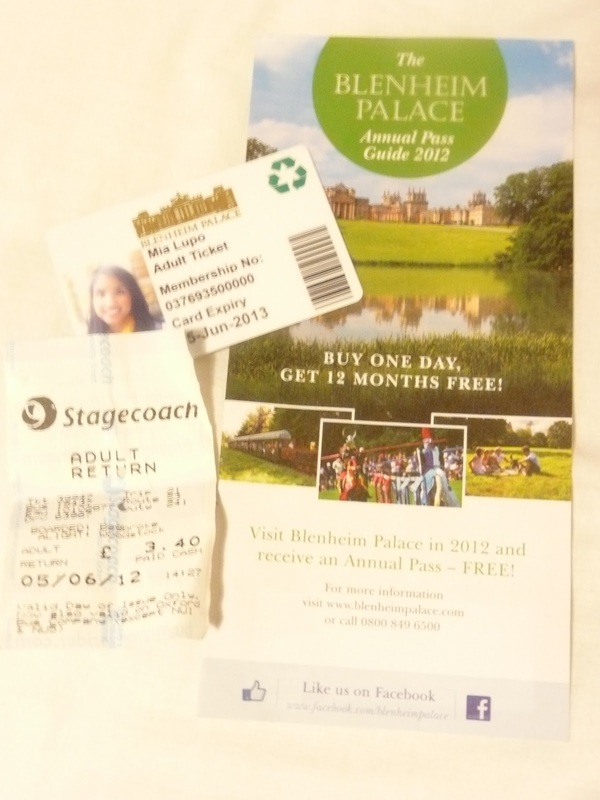 Buying one day ticket to Blenheim Palace allows you to obtain a year-pass for free. 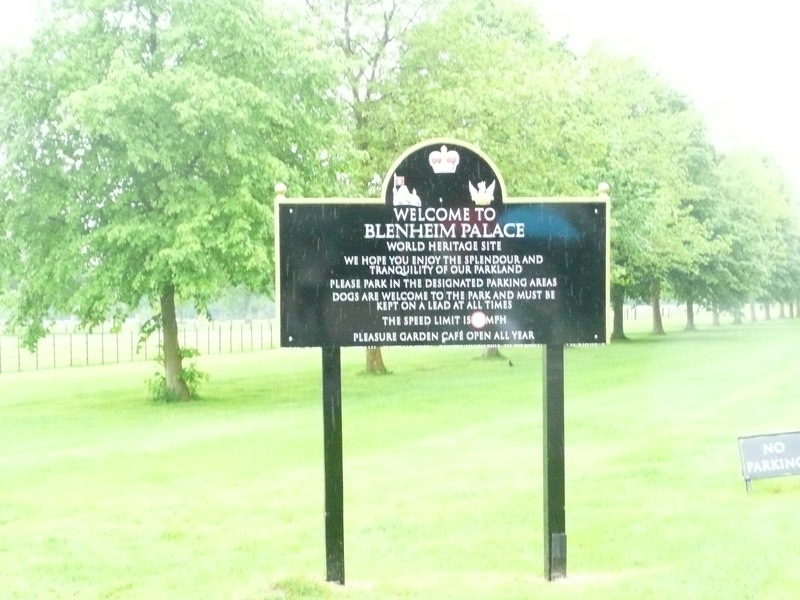 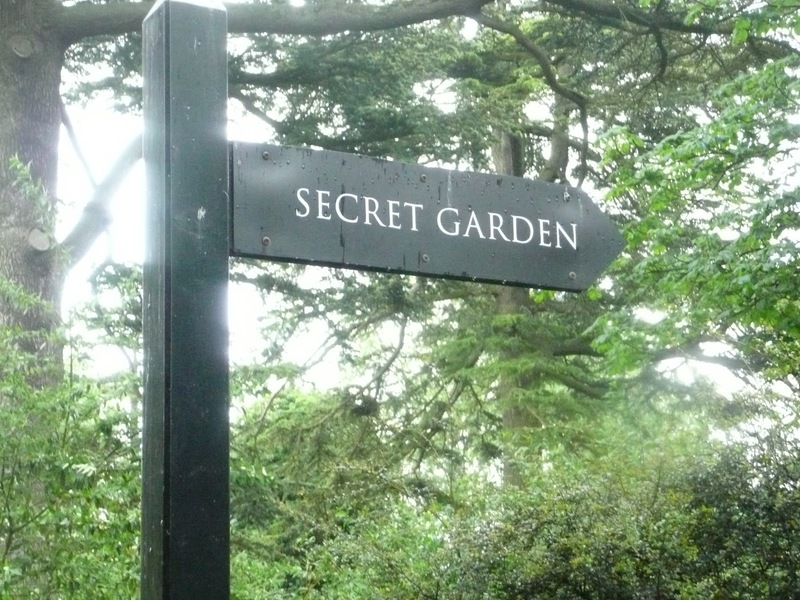 I plan on visiting the palace again on a sunny day and exploring the grounds further. 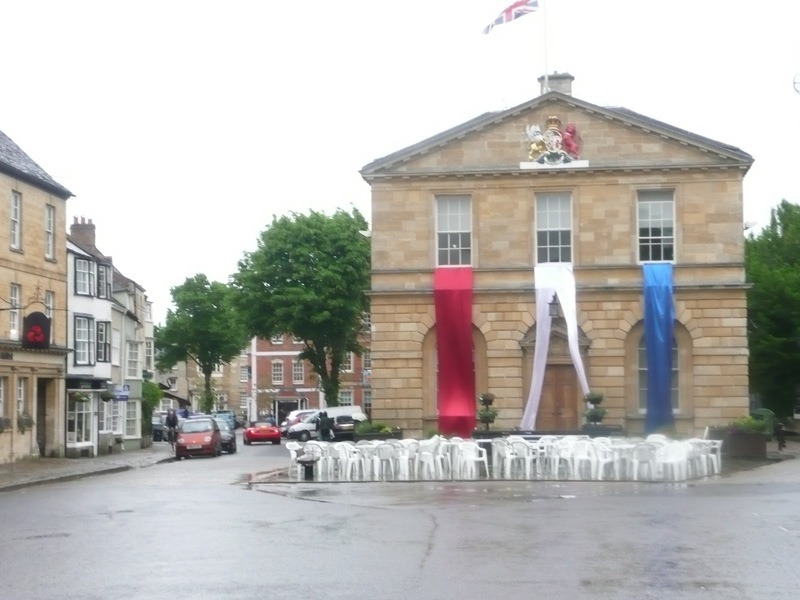 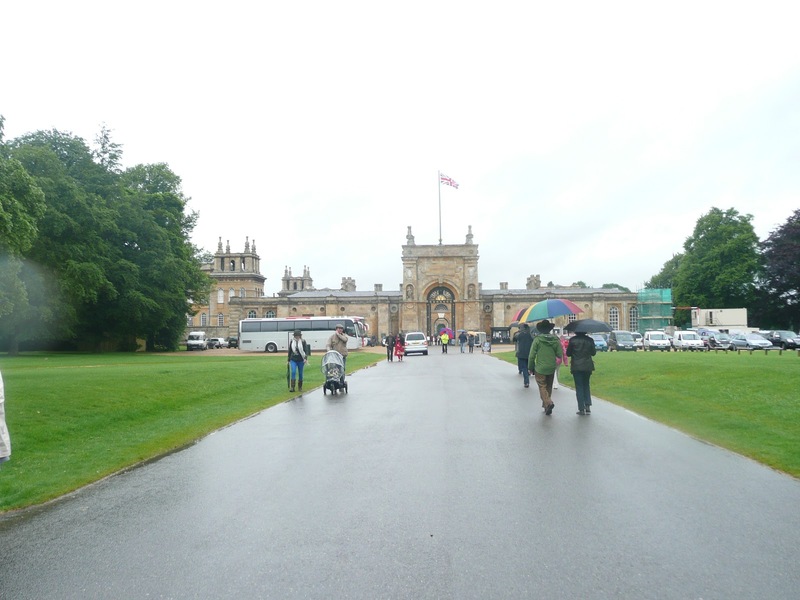 There were activities in honor of the Jubilee celebration, but because they were outdoors on a rainy day, not many people attended. 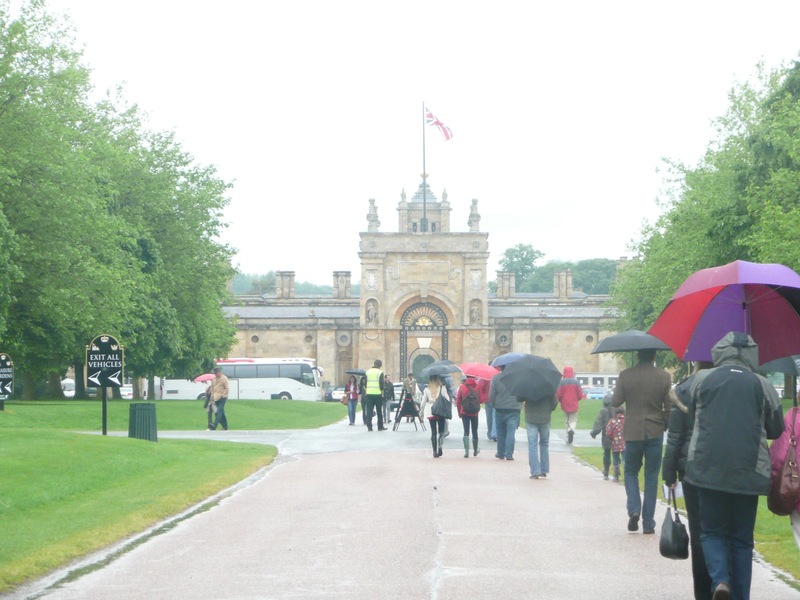 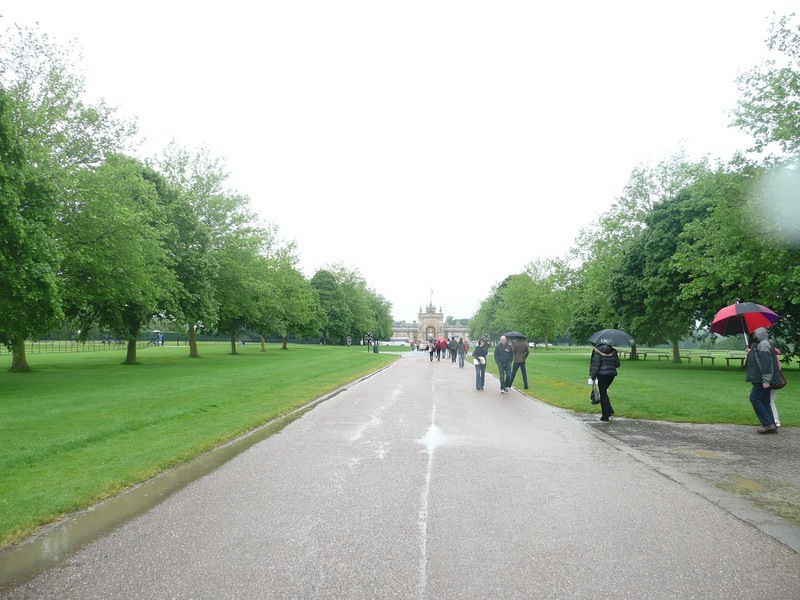 It was also a little difficult leaving–the gates were closed, so the group had to walk back towards the palace, then walk down the path leading to the village nearby before reaching the bus station. 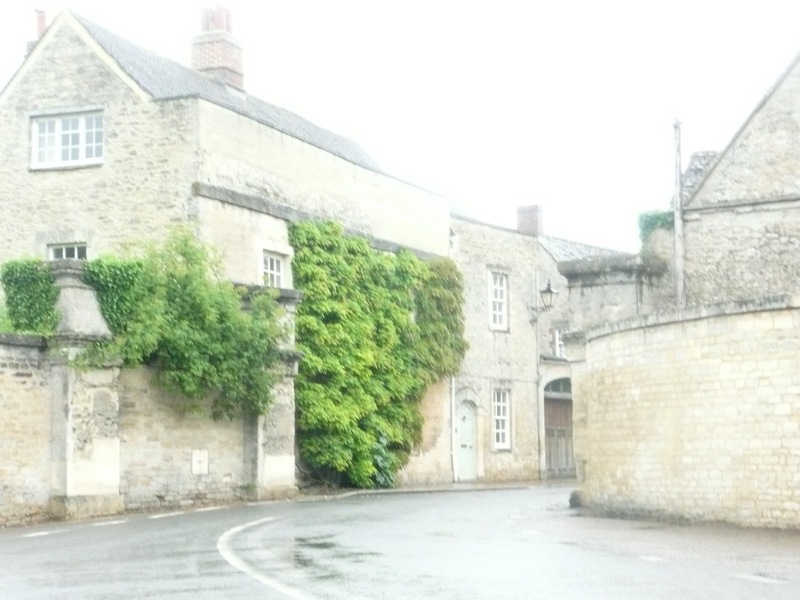 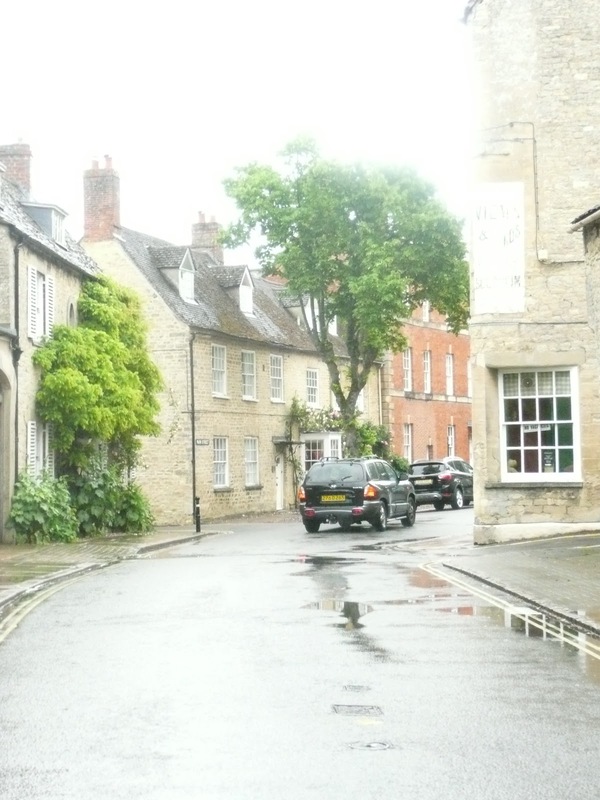 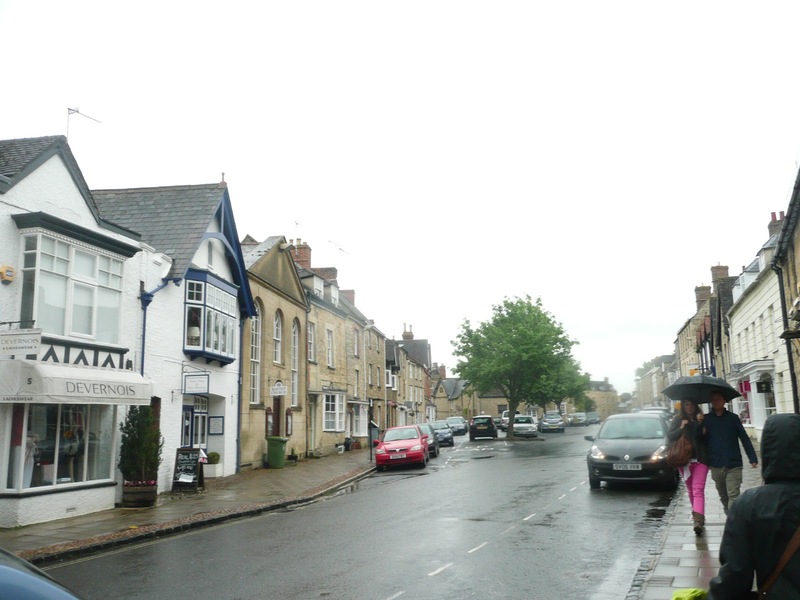 The village was very quaint and it had many cute souvenir shops and pubs, as well as a small set-up for a Jubilee party in the square.